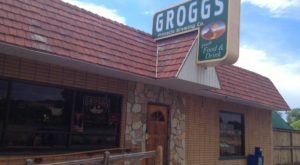 Utah’s small towns often have some of the best little cafes and diners. 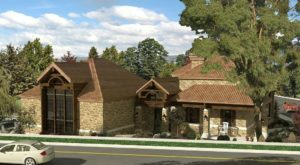 The tiny town of Salina is no exception. 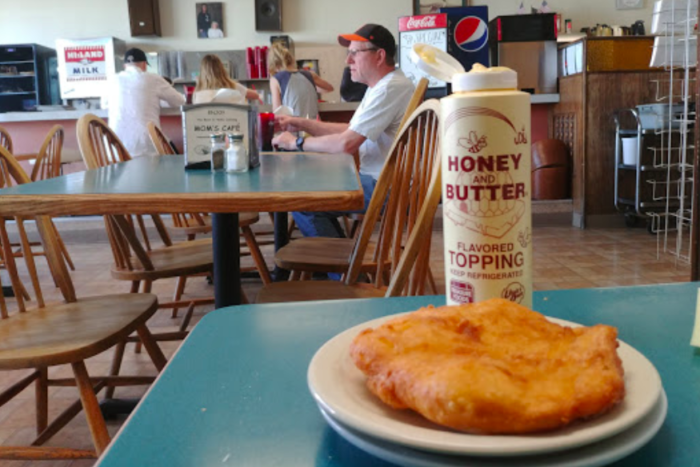 Located at the junction of I-70 and US-89, it’s home to Mom’s Cafe – a cozy little restaurant that’s a local icon. 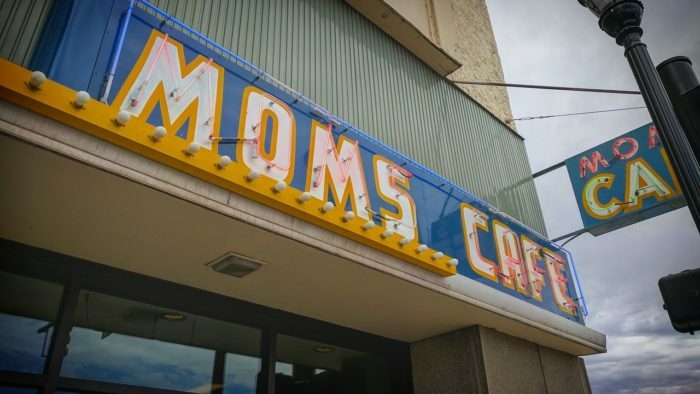 You'll find Mom's Cafe in a historic building on the corner of State and Main in Salina. 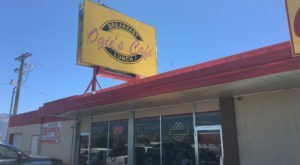 It's been serving up tasty comfort food for decades. 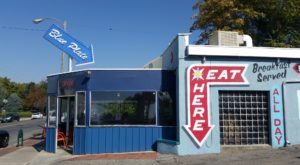 This place is an old-school cafe, with swivel bar stools and basic seating. 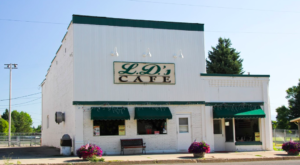 It's not fancy, but that's ok because you're not here for the atmosphere - you're here for Mom's cooking. Start your day off right with breakfast at Mom's, where you'll find a menu full of pancakes, eggs, omelets and more. 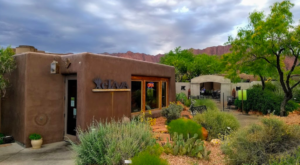 You'll definitely want to order a Utah scone drenched in honey butter. 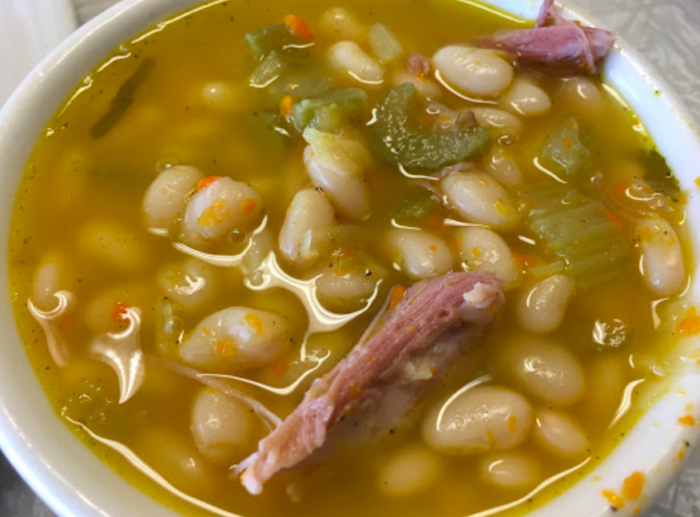 For a warm, comforting lunch, try a bowl of homemade soup or chili. The burgers here are juicy and delicious. 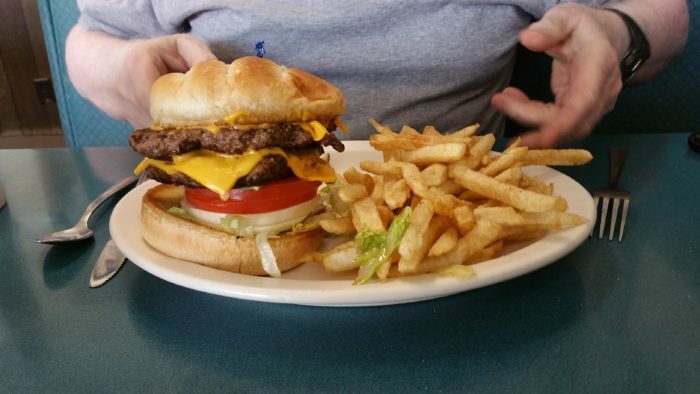 If you're really hungry, get the double cheeseburger. Mom's makes the best comfort food you'll ever try. 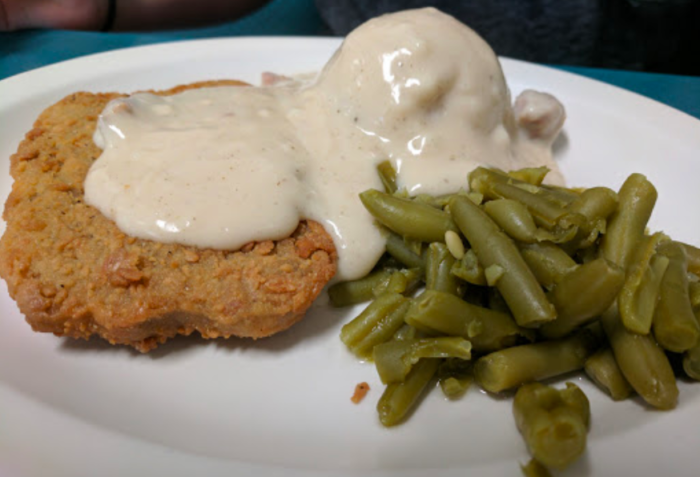 The chicken-fried steak with mashed potatoes and green beans is a classic favorite. 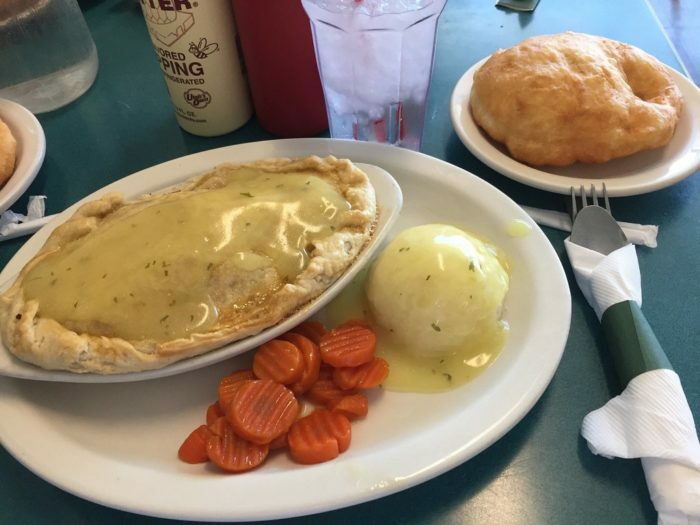 The homemade chicken pot pie covered in chicken gravy is to die for. You can get a small scone with every menu item, too. 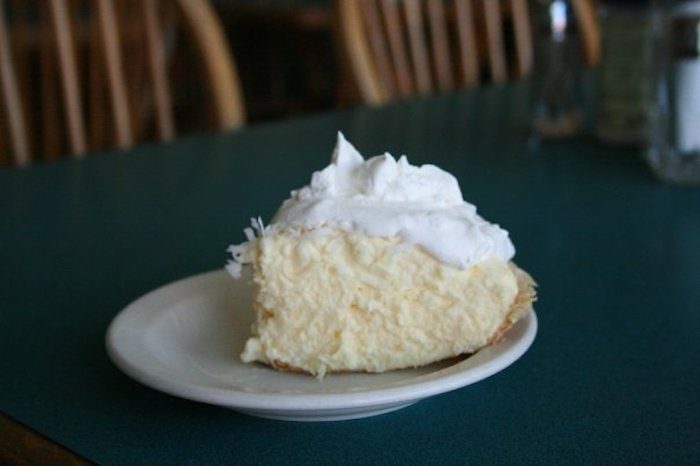 Save room for a slice of homemade pie, or ask them to pack one up in a box for you to take home. 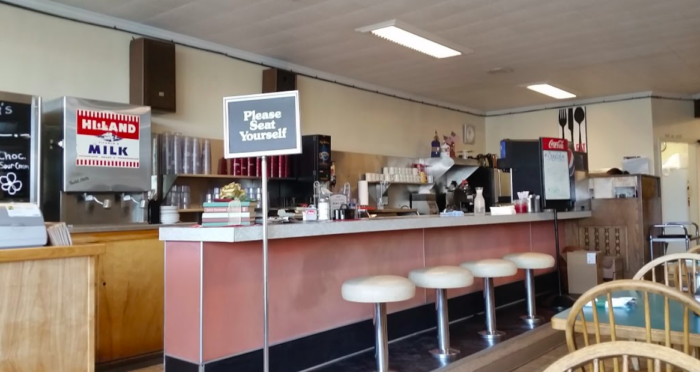 The next time you're in the neighborhood, stop by Mom's Cafe. 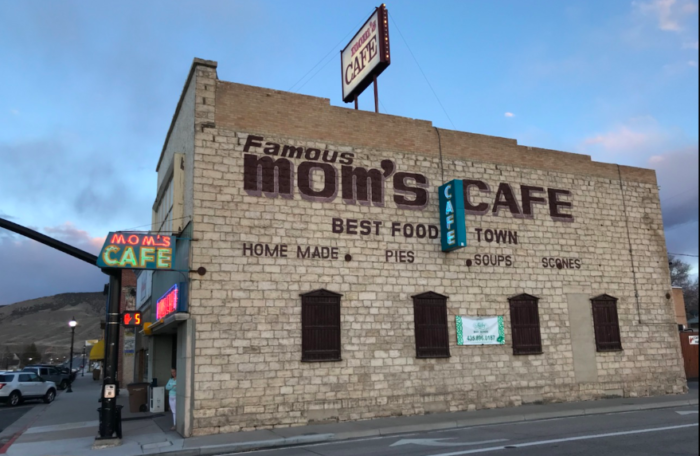 It's open every day of the week, starting at 7 a.m..
Have you ever visited Mom’s Cafe? Tell us your favorite menu item in the comments, or tag someone that you’d like to visit with. 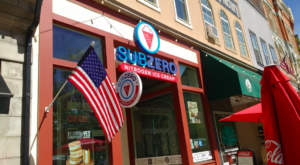 Utah has so many great little cafes, diners, and sandwich shops! 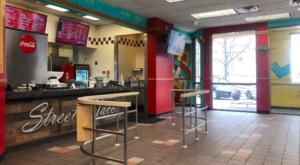 Here’s a sandwich shop in Salt Lake City that serves up some delicious Jewish deli – give it a try!